Harare magistrate Mr Francis Mapfumo yesterday ruled that jailed RMG Independent End Time Message leader Robert Martin Gumbura and his six accomplices, accused of attempting to escape from prison, have a case to answer and should be put to their defence. Gumbura, Blessing Chauke (29), Lucky Mhungu (42), Taurai Dodzo (51), Thomas Chacha (41), Elijah Vhumbunu (42), Lucky Matambanadzo (43), Thulani Chizema (36) and Jacob Sibanda (32) had applied for discharge at the close of the State case. Mr Mapfumo granted the application in respect for Chizema and Sibanda on the grounds that witnesses in the matter gave conflicting evidence in respect of the duo. He dismissed the application in respect to all the other accused persons, saying they should be put to their defence. In his ruling, Mr Mapfumo said it was common cause that violence erupted at Chikurubi Maximum Security Prison on the day in question. He further stated that one of the witnesses, Davison Mutakaya, in his testimony, told the court that he witnessed the meetings taking place and was not allowed to attend as he was labelled a sell-out. “Another witness Nobert Chomurenga testified that he saw the accused persons destroying property and marching towards the armoury and warning shots were fired,” said Mr Mapfumo. Mr Mapfumo said Chomurenga told the court that one of the inmates was shot while tussling for a gun and that the attempt to escape was only aborted after the shooting incident. He said Mutakaya in his testimony said when hell broke loose, Gumbura’s accomplices were on top of the roof. He said there is need for the accused persons to be put to their defence to explain whether what they did was not an attempt to escape prison. Mr Mapfumo further stated that there is also need for the accused persons to explain the purposes of their meetings which culminated in the violence. 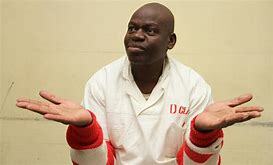 He said in his testimony John Mutizwa said the brains behind the prison break was Gumbura, who used his influence to mobilise other inmates to participate in the jailbreak. Mr Mapfumo said the court heard that Gumbura used to smuggle cigarettes into prison to lure other inmates into his plan. “Application of discharge at the close of the State is granted in respect for Chizema and Sibanda and dismissed in respect for all the other accused persons,” he said.